Successfully executing a digital strategy requires the ability to launch new apps and coordinate your digital presence with partners. Application Programming Interfaces (APIs) create the connectivity required to share enterprise data and digital content with those apps and partners over the Internet. APIs are a critical component of digital business—empowering developers to build apps across any channel and enabling partners to incorporate your data or services into their offerings. By making it easier for other organizations to access your services, you create value and growth opportunities. 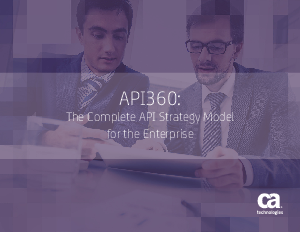 So how do you go about creating and managing an API program while navigating the challenges of exposing your intellectual property outside the enterprise? Let’s take a look at how some early adopters have successfully managed APIs to create growth.